Cosmas: “beyond this is the clove country, then Tzinista (China) which produces silk. Beyond this there is no other country, for on the east Tzinista is surrounded by the ocean” (11.337). The Eastern Roman Empire with its capital at Byzantium survived the collapse of Rome and the west in AD 476. This eastern empire incorporated the Balkans, Greece, Asia Minor, Syria and Egypt. The Sassanid Empire of ancient Persia restricted Byzantine access to the Silk Routes that led across Iran, but the Egyptian Red Sea ports gave these eastern Romans another route to reach the markets of southern Asia. Taprobane (Sri Lanka) on the World Map devised by the Roman Geographer Claudius Ptolemy (second century AD). A Byzantine merchant known as Cosmas Indicolpeustes sailed the Red Sea routes during the early sixth century AD and left an account of his commercial travels in a work known as the Christian Topography. In AD 522 Cosmas travelled to the Ethiopian trade port of Adulis where he spoke to Byzantine merchants who had visited the island of Sri Lanka. They provided him with a full account of the commerce conducted across southern Asia. Sri Lanka, on the southern tip of India, was centrally placed for Indian Ocean commerce and therefore functioned as an intermediary market for merchants coming from many distant regions. Cosmas explains that, ‘the island is in a central position and is frequented by ships from all parts of India, Persia and Ethiopia. It sends out many of its own ships and from the remotest countries including Tzinista (China) and other trading places, it receives silk, aloes, cloves and sandalwood’ (Christian Topography, 11.337). Copper was in high demand as a trade commodity because it was used to manufacture rust-resistant metal fittings for ocean vessels and Byzantine ships sailing to the island carried scrap-metal batches of old Roman coinage. Confirmation of this trade comes from large hoards of Late Roman copper coins discovered in southern India and Sri Lanka. The sailing route from Sri Lanka to China is described by a Chinese Buddhist monk named Faxian who travelled to the island in AD 400 and later wrote an account of his travels called A Record of the Buddhist Kingdoms. Faxian reached India via the overland Silk Routes and spent two years in Sri Lanka before sailing on an Indian vessel headed for China. This large merchant ship carried 200 crew and passengers on a two-week sailing across the Bay of Bengal. The pilots of these vessels had limited navigation techniques and when sailing south around the Malay Peninsula the ship was caught in a violent storm. After 90 days at sea the damaged vessel made landfall on the island of Java. From there, Faxian was able to board another large Indian ship sailing to China and after more than 80 days at sea, with unfavorable wind conditions, they made landfall near Mount Lao on the coast of northern China near the Korean Peninsula (Faxian, 40). This trade network explains how batches of Roman copper coins could reach Chinese ports less than a year after they were loaded aboard Byzantine ships in the Red Sea harbours of Egypt. Connections between China and Japan increased during the Asuka era (AD 538-710) as Buddhism reached the island from neighboring Korea. Buddhist institutions were often established close to royal sites to gain influence and acquire state patronage. As part of their religious practices Buddhists sometimes deposited small votive offerings close to holy sites and these artifacts often included unusual, rare, antique or valuable objects. Many small-scale Roman coin finds in northern India were discovered near Buddhist shrines and perhaps this explains how Roman copper coins came to be buried at sites in Japan. Buddhist merchants, missionaries or travellers from China would have brought foreign coins to Japan among their trade goods, personal belongings, curios or keepsakes. 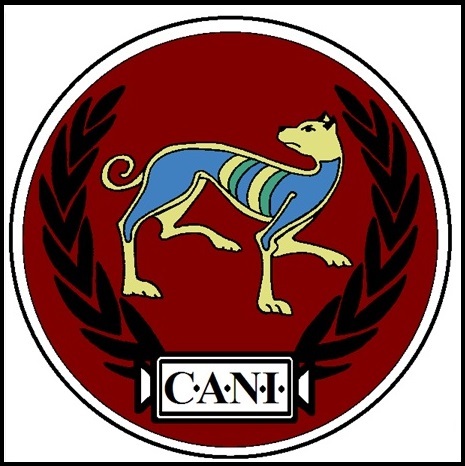 Raoul McLaughlin is a member of CANI (Classical Association of Northern Ireland) and the CAI (Classical Association of Ireland). R. McLaughlin, The Roman Empire and the Indian Ocean: The Ancient World Economy and the Kingdoms of India, Africa and Arabia (Pen & Sword, 2014). R. McLaughlin, ‘The Roman Emperor and the Sinhalese King’ in Classics Ireland (forthcoming).